I recently attended the premiere for LD Entertainment’s newest film, Dog Days. I wasn’t sure 100% what to expect from the film. After watching the trailer, I thought okay, this is going to have some laughs, some awe moments (just look at those dogs), and maybe I might tear up a bit. Woah, was I wrong. 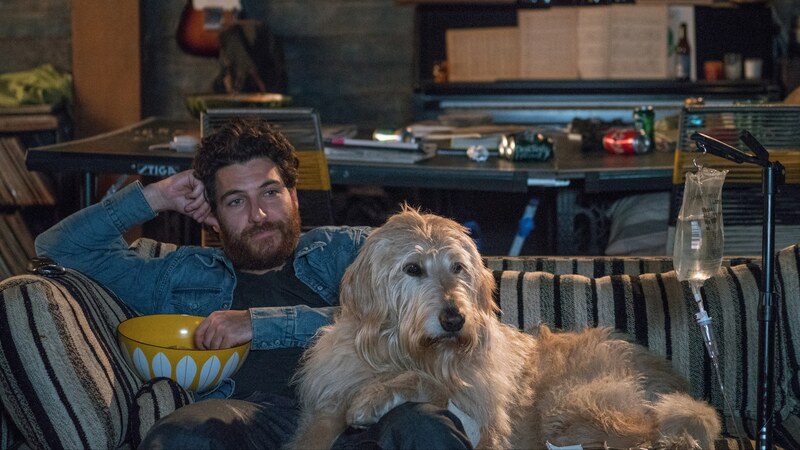 Dog Days exceeded my expectations in every way. It wasn’t just a little funny, it was hilarious. I was right about the awe moments, there are a lot. And not only did I laugh but I ugly cried too. Thank you LD Entertainment for providing travel and accommodations for the Dog Days premiere. All opinions are my own. Dog Days follows the lives of multiple dog owners and their adorable four legged friends around Los Angeles. When these humans and canine’s paths start to cross, their lives are changed in ways none of them expected. 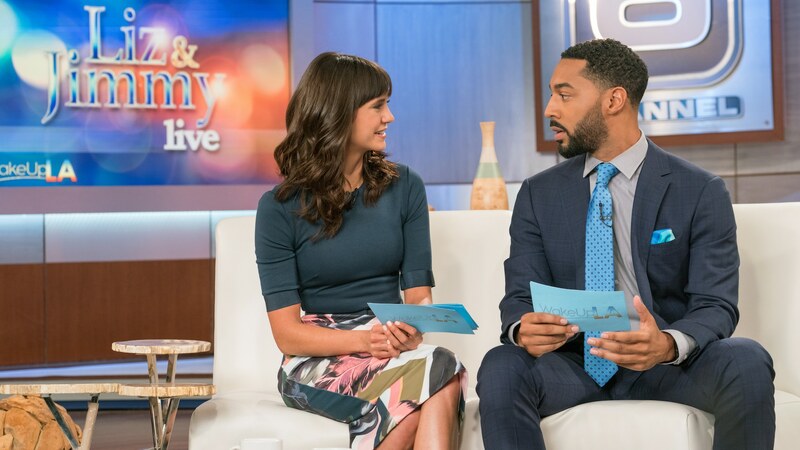 Elizabeth finds herself suddenly single and dealing with a new co-host on her morning show. She begins to have real feelings for Jimmy that are both exciting and scary. Tara is a barista who dreams of doing more when a cute little stray wanders into her life. Garrett, the owner of New Tricks Dog Rescue, although socially awkward, has a big heart when it comes to people and animals. Dax is a wannabe musician and all around slacker who is left in charge of his sister’s dog while she adjusts to being a new mom of twins. 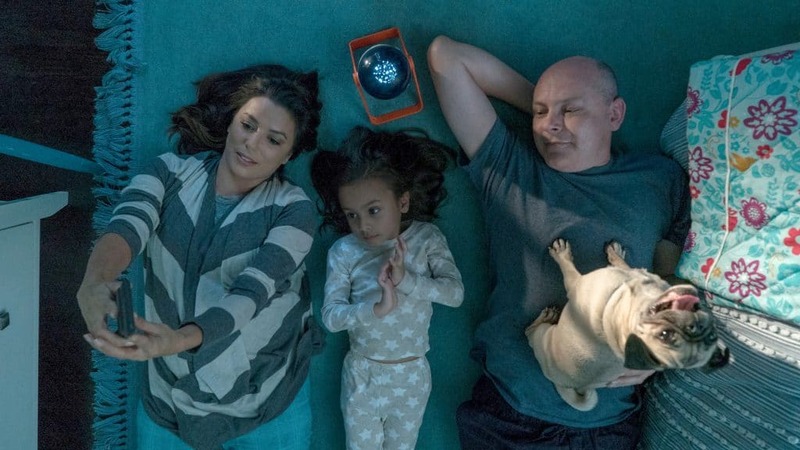 Grace and Kurt have wanted a child for so long and finally are blessed with the adoption of Amelia, but adjusting to life in a new home can be difficult. 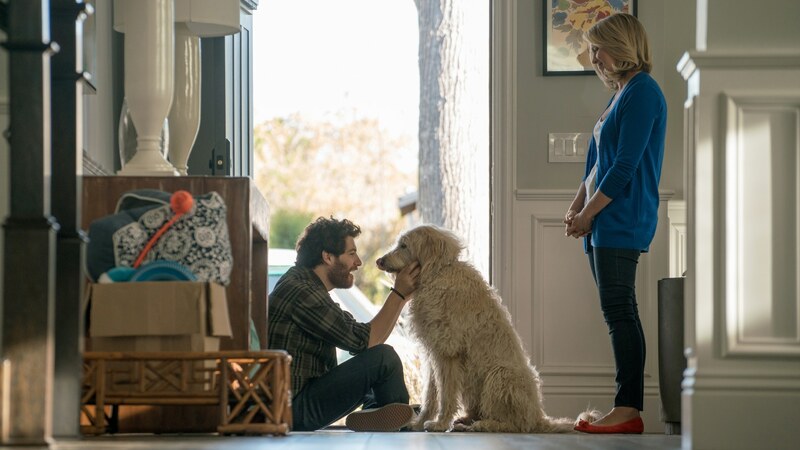 Their lives intertwine with Walter and Tyler, when Walter’s dog finds her way into their home. Dog Days is full of love, laughs, heartfelt moments, and yes, super cute dogs! Ken Marino and the cast set out to make us feel something and they accomplished that times 10. We all know the dogs are adorable and clearly the stars of the show, but the humans did a good job too. Your favorite fandoms are colliding when Vanessa Hudgens, Nina Dobrev, Finn Wolfhard, and Ron Cephas Jones share the screen. I’m looking at you High School Musical, Vampire Diaries, Stranger Things, and This Is Us fans. Actually at one point in the movie, one of the big tissue moments, it felt like an episode of This Is Us. Like I said before, I expected a few tears, it is an animal movie after all. But I wasn’t expecting the ugly crying. There were a few deeply emotional moments. If you’ve ever owned a pet, struggled with loss, or yearned for a family the feels are going to get you. Trust me. I also laughed a lot, producing tears of a different sort. To summarize: bring tissues. Is Dog Days kid friendly? It was important to Ken Marino that this film was one for the family. But is Dog Days kid friendly? Yes! It is a feel-good movie that the whole family will enjoy. 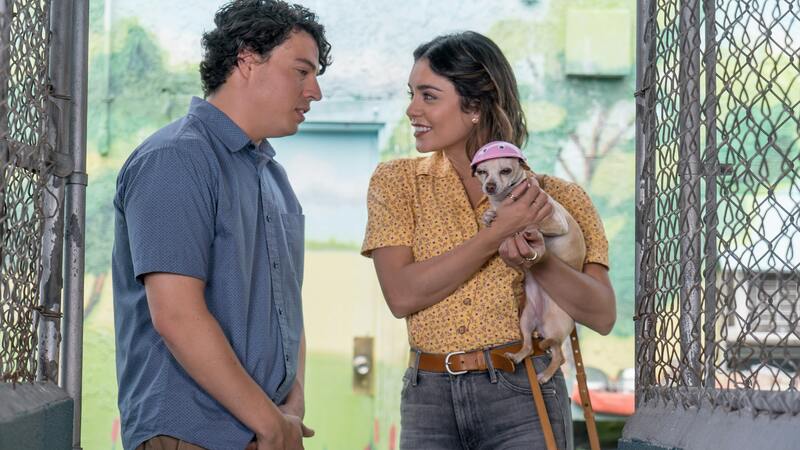 For a complete family guide, I encourage you to read my friend Tania’s post: Is Dog Days Film Kid Friendly? 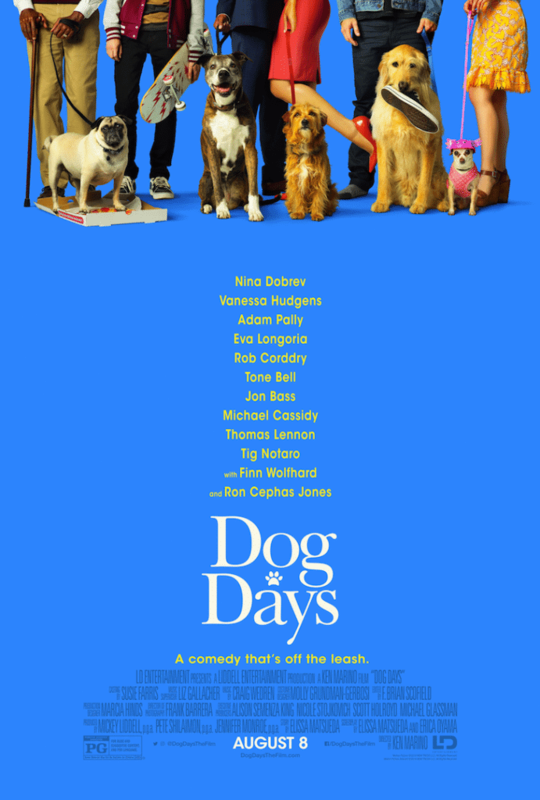 Dog Days opens in theaters everywhere August 8th. I hope you will go see it with your kids. The trailers do not do this movie justice. So if you are on the fence, it’s time to hop off and pick up your tickets. You won’t regret it. It’s a date! 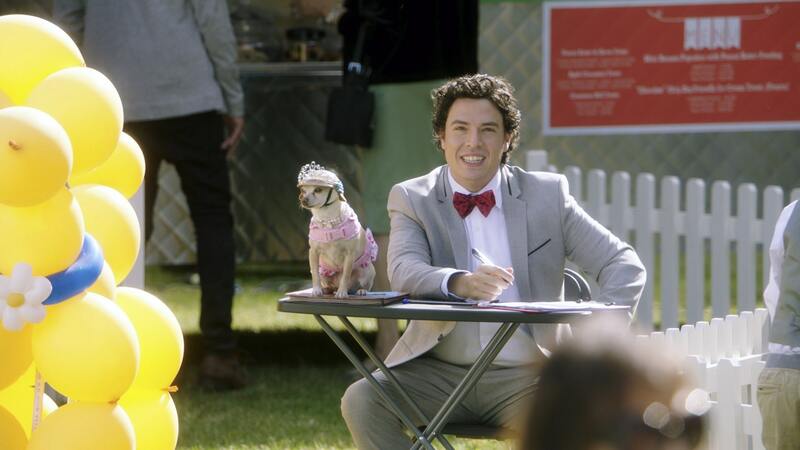 Dog Days is in theaters everywhere August 8th! Incredibles 2 Movie Review | Worth The Wait? I bet this is going to be a fun movie! I am totally a Finn fan and would love to watch this! This story sounds incredibly sweet. I may have to see it with the boyfriend! It has a great cast. How cute! My sister is a huge dog lover and watches everything “dog” related. She will absolutely LOVE this! Thanks for sharing the trailer, too! This movie looks good. I can’t wait to see it. I love the preview. Dog movies are something that I can definitely get the whole family to sit and watch. I am glad there will be another one out! This looks like such a cute movie! I’m definitely taking my kids. I know they’ll love it! Oh, I need to see this! Sounds like a great movie to see with the family! I recently heard about this movie. It sounds like something my family would love to see. I’m glad to know it’s kid-friendly. I really want to see this movie! I am a huge animal lover. Our family has rescued so many animals over the years that I have lost count, but I can tell you one thing… each and every one of them have made me a better person! Imagine how the world would be if humans could/ would love so unconditionally as dogs do! Thanks for the great post! Gotta go hug my dog now!